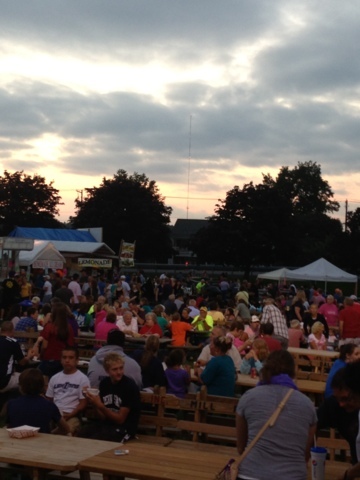 The 40th annual Elizabethtown Fair opened this evening with a gorgeous night. Temperatures were in the 70s, and what seemed like the threat of precipitation held off. Maybe that's why the crowds were a little thin when my sons and I arrived just before 7:00. By the time we left at about 8:20, I'd say the crowds were getting back to "normal" levels for such a great evening. 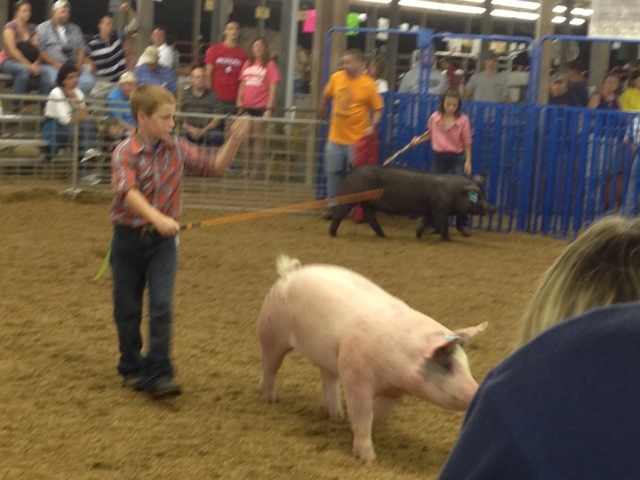 Youngsters were showing hogs this evening. 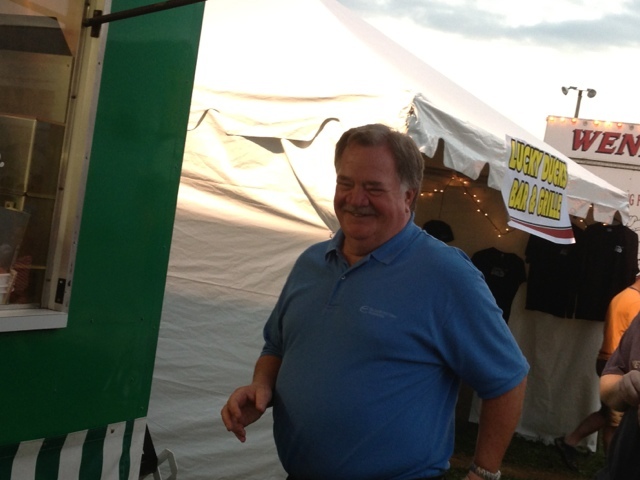 Mayor Chuck Mummert spends nearly the whole week at the fair. 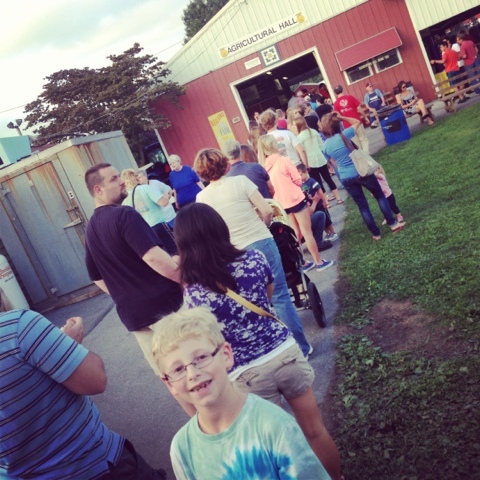 minutes for a milkshake from the Elizabethtown Grange. It was well worth the wait. The food court was busy. 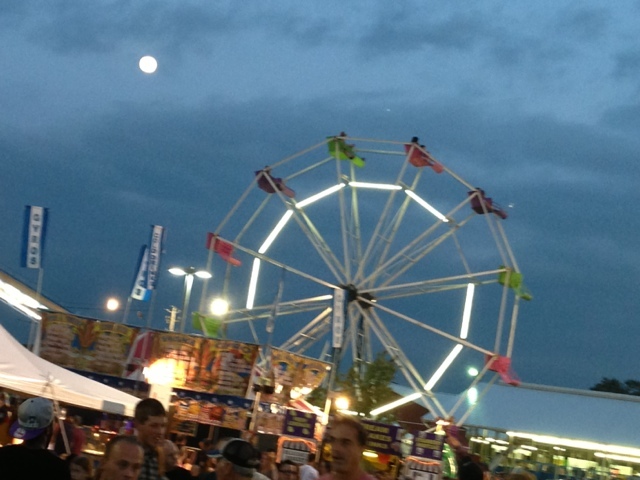 The moon, as if on cue, made its appearance over the Ferris wheel. 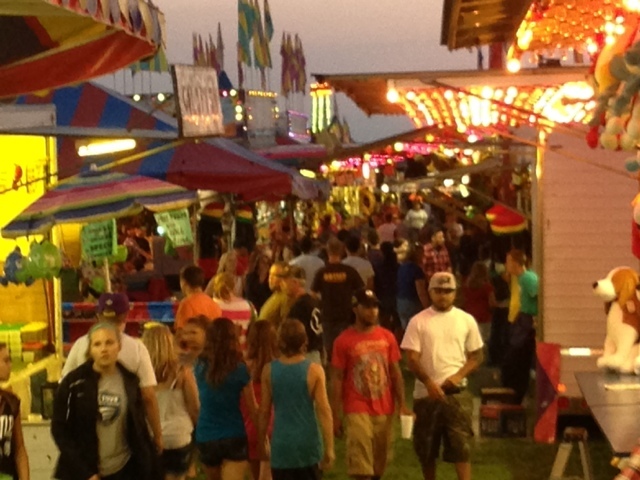 As we left after 8:00, the midway was getting busy.